21 favorite Rutter anthems, taken from classic Cambridge recordings. 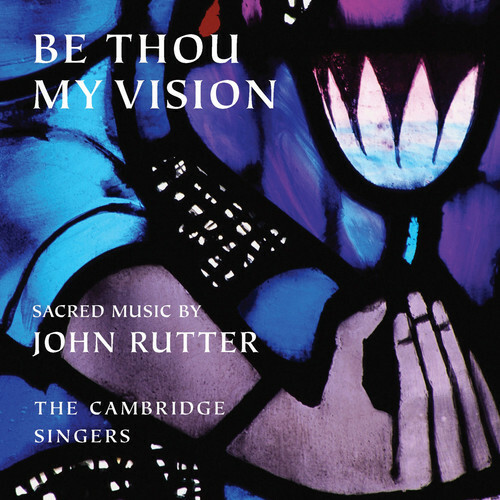 The talented, prolific (29 excellent CDs in the Primarily A Cappella catalog) 33-strong, mixed-voice Cambridge Singers were founded by John Rutter after he gave up his position as Director of Music at Clare College, Cambridge in 1979, to allow himself more time for composition. Here are 21 of Rutter's finest Christian anthems, culled from the many fine recordings by the Singers. The title tune, "Open thou mine eyes," the lovely "Wings of the morning," the triumphant "O be joyful in the Lord," "All things bright and beautiful," "As the bridegroom to his chosen," the soaring "Loving Shepherd of thy sheep," "O clap your hands," "Lord, make me an instrument of thy peace," "God be in my head," "Thy perfect love" - these are all joyful, positive songs of worship and celebration, the best of everything we love about John Rutter and his Singers. Some accompaniment. "Be Thou My Vision" is a winning, inspirational collection!